Child custody issues sometimes force parents to make difficult choices, as they work through the complexities of their divorce. Emotions run high, especially when decisions must be made regarding child custody, visitation rights, and financial support of the child. The Bellevue child custody attorneys at the Law Office of Jason S. Newcombe can help you manage this difficult process, and it all starts by scheduling your own cost-free consultation. You and your ex spouse are required to make custody and support decisions with your child's best interests in mind, which may be difficult if you have widely different opinions about how your children should be raised. Responsible parents want what's best for their children, so it makes sense to work with Bellevue child custody lawyers who will help make decisions that benefit the children. Our Bellevue custody attorneys are ready to answer your questions, and offer legal insight while helping you define a series of goals. If you choose our Bellevue law firm to represent your legal interests, we will be at your side during your divorce negotiations. Our custody attorneys in Bellevue will offer you honest counsel when difficult choices are required, so that you can readily overcome obstacles. A parenting plan is a document you create with your ex-spouse that clearly outlines and defines parental responsibilities. This plan addresses the custody of your children, how decisions are rendered on their behalf, child-support requirements, and how disputes will be resolved. Developing this plan can be difficult, but it is an essential part of divorce negotiations involving kids. Throughout this process it is vital that you maintain communication with your ex-spouse. If proceedings go astray, our Bellevue child custody lawyers will help you maintain focus in an effort to keep the process moving forward. 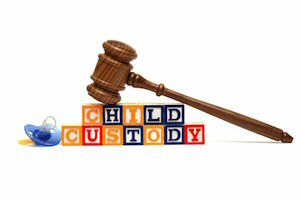 The counsel provided by our Bellevue child custody attorneys will be based on the goals that you defined. In this way, your Bellevue attorney ensures that your children’s welfare is being protected at all times. There is never a clear-cut path toward resolving child custody issues, so sometimes negotiations can get emotionally charged. Our Bellevue child custody attorneys will urge you maintain civility by keeping you focused on the needs of your children. If finding common ground with your ex-spouse proves impossible, a judge may end up making decisions that will affect your children for the rest of their lives. If your ex-spouse proves unreasonable and negotiations stall, our Bellevue child custody lawyers are willing to take your case to court in order to protect your children's interests. Contact our Bellevue law office today, and take advantage of our free consultation offer. Talk to a qualified Bellevue attorney who is willing to address your most pressing and problematic child custody issues. Our experience with complex divorce laws will help you forge a clear path toward resolution, and act in the best interests of your kids. Our Bellevue custody attorneys will fight to protect your children's future by helping you forge a parenting plan that will withstand a Washington judge's discretion.